With all these intriguing boat designs crossing our desk – like the Audi trimaran and the Bugatti Sang Bleu speedboat – we're going to need something to tow them around with. And what could be more suitable than the Dartz Prombron Nagel? Looking something like a Lego car, the Nagel is envisioned specifically for pulling boat trailers. 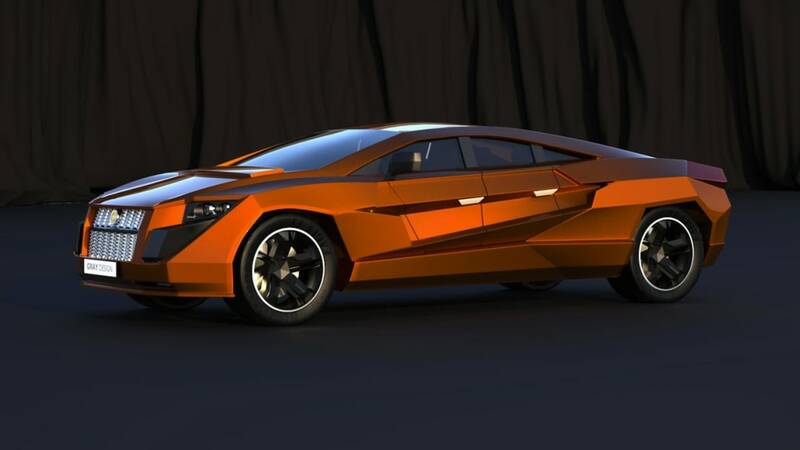 It's based on the same platform as the colossal Prombron SUV, but with a new sedan-like form penned (appropriately enough) by Gray Design – the same designers behind the Beach Cruiser concept, the Corvette Stingray speedboat and that megayacht with the supercar inside. Now, a sedan may not seem like the best choice for towing boats, but this particular vehicle is pegged to pack a fantastical 2,000 horsepower. (Unless they're planning to package two quad-turbo W-16 Bugatti engines under the hood, don't ask us how they intend to get to such a stratospheric output figure.) 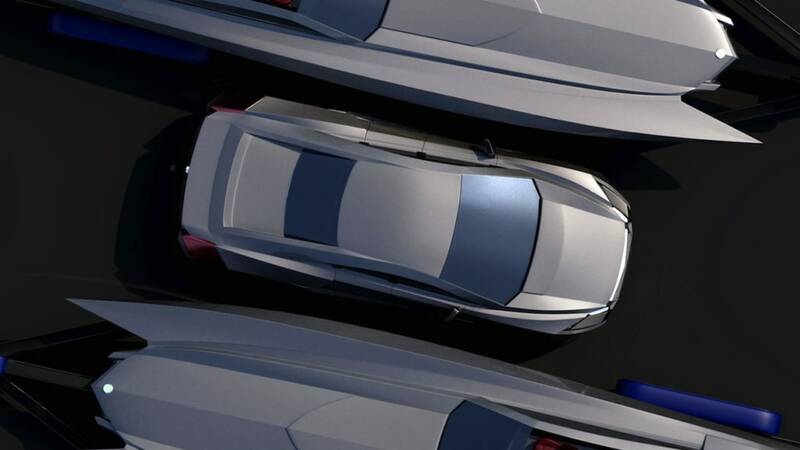 That's claimed to be enough for "the world's first armored Sportback" to pull a five-ton, 15-meter (50-foot) boat or drive to a top speed of 250 km/h (155 mph), hopefully not at the same time. Perhaps most incredibly of all, the Nagel is scheduled to hit production sometime next year. It serves as a rolling tribute to the 100th anniversary of the journey undertaken by a Russian team to the Monte Carlo rally, a venture that earned them numerous decorations from both the Monegasque crown prince and the Russian czar. Scope out the details in the press release along with the video slideshow after the jump, and the renderings in our high-resolution image gallery. 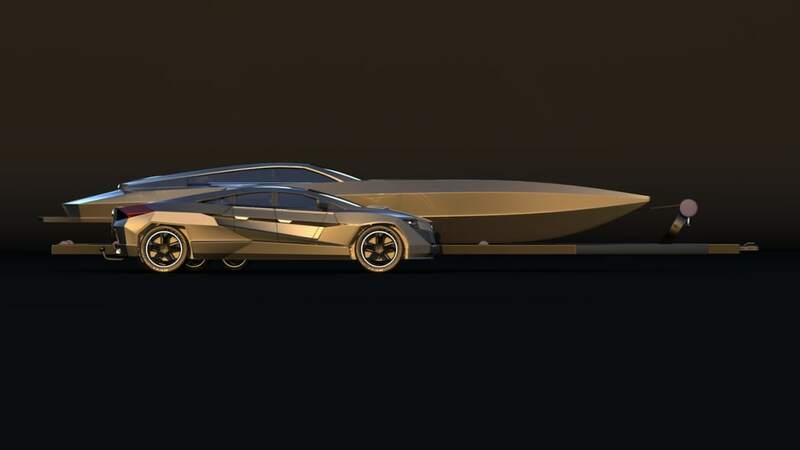 Dartz Prombron' and Gray Design are pleased to announce the release of the 2012 Dartz Prombron' Nagel - the worlds first armored Sportback, designed for pulling yachts. 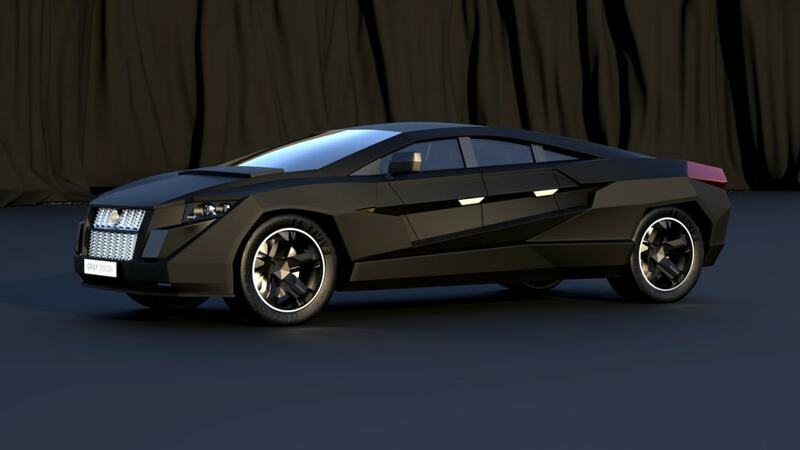 The car is to be launched in 2012, a year of many anniversaries for the legendary car brand RussoBalt (RussoBaltique) which later became Prombron' and was later reborn as the daring Dartz Prombron'. In the cold winter of 1911, on the last day of the year, two heroes, Andrey Nagel and Vadim Mikhailoff set off for the Monte Carlo Rally, traveling the furthest distance of any team - 3260 km. In the long distance race, they drove the C24/55 Monaco RussoBalt sportscar which was specially named for the Monte Carlo Rally after the french name RussoBaltique. The journey turned out to be a victorious one with the team winning nine awards from HSH Monaco Prince Louis III, and upon their return were awarded the Order of St. Anna from the Russian Tzar Nikolaus II. RussoBalt continued to make sports and armored cars, royal lancelets and airplanes, not to mention that even the famous helicopter inventor, Sikorsky, was also a RussoBalt engineer. The Dartz Prombron' Nagel is being built on the anniversary of this great achievement, commemorating Monaco's great yachting tradition. 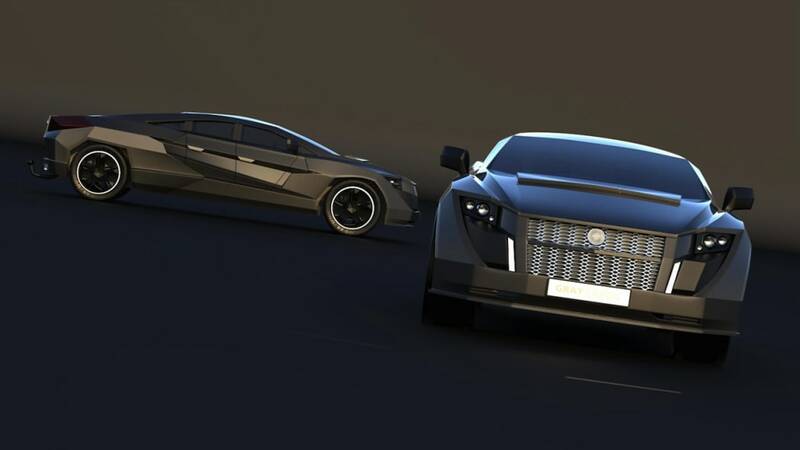 Designed by Eduard Gray of Gray Design, the car is built on the Dartz Prombron' platform using the worlds safest KAPSULA technology to ensure the greatest peace of mind for it's passengers. Like all Dartz cars, the armor makes it heavy enough ensure a smooth ride when towing yachts up to five tones in weight and up to 15 meters in length. But this is no heavyweight Ivan Drago, as the sporting spirit is experienced through the specially created 2000 hp engine inside. The projected speed is a staggering 250 km/h, allowing yacht owners to be the first on the scene for any occasion, be it the seaside or the race track. 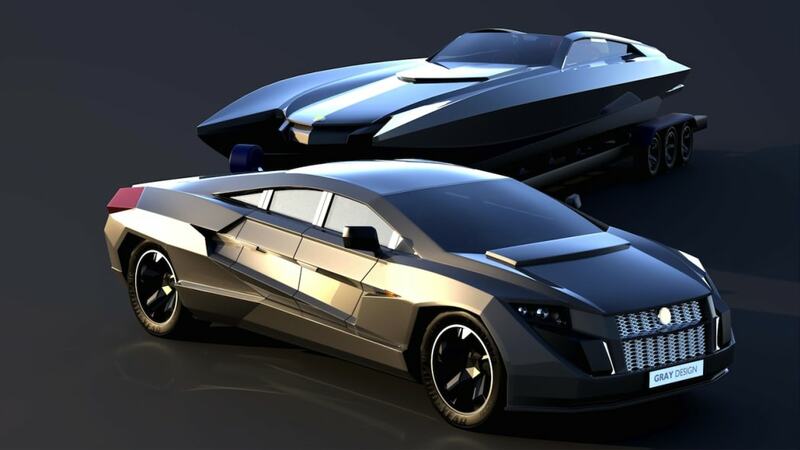 Enjoy the Dartz Prombron' Nagel, the world's first armored Sportback for yacht owners. Give your yacht some company, your neighbor envy.